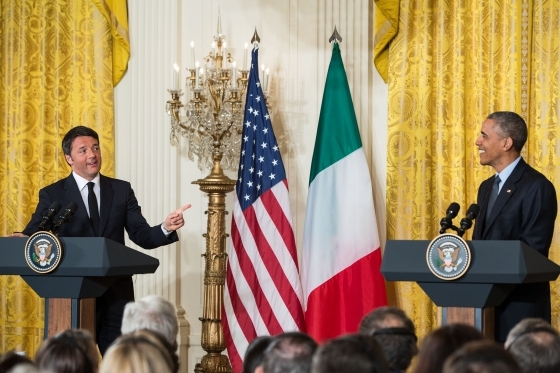 Obama joked that it would be “insulting” not to try the Sassicaia, Ornellaia and Tignanello given to him by Renzi during a state visit to the White House in Washington. During the visit, the duo reportedly shared a glass of Tuscan wine together. “I brought a few bottles of wine for Barack, because I know that he’s a great expert,” Renzi said during a joint press conference. “I felt it would be insulting for me not to sample it. I will give you a report on whether it is up to the quality we expect,” Obama quipped during a press conference. During the conference, Obama spoke of the importance of establishing strong and lasting commercial ties with the wine industry.